i am still having this problem. i must now answer every call by the second ring, otherwise the caller may hang up thinking that they haven't connected and need re-dial. only a problem about 50% of the time, but i never know when the problem occurs, so i treat every call as if the caller doesn't know they have connected. sometimes caller ID shows Out Of The Area instead of the actual caller ID, even when it's just my next door neighbor. still waiting (patiently) for a fix. I've run into this problem too. I'm in the 919 area code and have been using Ooma for about a month. For the most part, it has been working perfectly fine except a couple of callers have reported the symptom of not hearing a ring tone when they call, as if the call did not go through. The odd thing is that it rings just fine and if they wait long enough, either someone picks up the phone or they hear the answering machine. What is common between the two callers is that they too are in the same area code and both have AT&T landlines. The problem occurs very consistently for them. I just got off the phone with Ooma customer support. The rep took me through her basic script asking about cables, connections, lost packets, etc. I assured her everything was fine and she finally tested it herself and concluded that it may be some sort of database problem on AT&T's end. She suggested that the callers register the problem with AT&T to try and resolve it. I wish there was a more definitive answer since I notice on this forum that others have reported experiencing the same problem dating back to last fall. 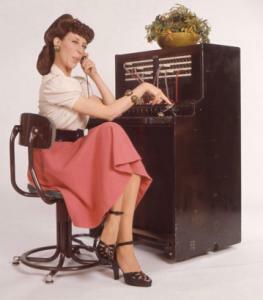 ...she finally tested it herself and concluded that it may be some sort of database problem on AT&T's end. She suggested that the callers register the problem with AT&T to try and resolve it.. This is likely a problem with the ooma CLEC partner or AT&T. Ooma should be able to escalate this issue to their engineering dept who will contact the CLEC to resolve. I'm having the same issue in the 919 area code. Any resolution, yet? The strange thing is that I have 2 ooma lines. One works fine. The other has no ringback tone on most calls. Unfortunately, the number I ported is the one that does not work correctly. Also, I have noticed that calls from other voip providers, and cell phones seem to work fine. It's the calls from the PTSN providers (AT&T, Verizon, etc) that do not get the ringback. I have a fix that might work for you. 516-XXXX prefix numbers in the 919 area code have this issue, (at least with my phone). After trying three 516-XXXX numbers, I thought that there may be an problem with the prefix, so I tried another, (746), and the ringback problem immediately disappeared. Try changing your number to one with a different prefix and see if this works for you. You'll have to call ooma to make the change. This may work for folks in other areas as well. Good luck! I have had the same number in the 919 area code for almost 20 years, so I am not going to change it... My prefix is 783. I will go back to my old voip provider if ooma cannot fix in a reasonable timeframe. dmwlbk: No luck yet. I was waiting to see if there were any other related symptoms to report before escalating this with Ooma tech support. Incidentally, I'm in exactly the same boat - have had the same 676 prefix number for almost 20 years and not looking to change it now. Hopefully they can figure out the problem and fix it. Number portability ought not to be mired with such challenges! i spoke with customer service about this issue. i first called this problem in to them back in march of this year & i've been trying to get it resolved since then. my next door neighbor provides me with a test case since she NEVER got the ring tone when calling me. well, i did not port my old number over to ooma because i use the old number on my landline for data transmission purposes. i use this landline to call my ooma number to see if the ringtone problem still happens when my neighbor isn't around to test the line. i get a 50% success rate using my landline to call my ooma. the ooma customer rep said she would update some database on their end (she wasn't too specific) and that the change should take affect in 24-48 hours. she also mentioned something about needing to turn off called ID on the landline because it interferes with ooma. well, we didn't subscribe to caller ID from the phone company, so i didn't think that was the problem. but i do have the ooma base connected to the wall phone jack so i could use a scout unit elsewhere in the house. i thought i'd experiment and disconnect the ooma base from the wall phone jack and have my neighbor make a test call to my ooma number and it worked. she heard the ringtone for the first time since we installed ooma. caller ID on ooma for her number still doesn't work (shows up as "Out of Area"), but it looks like there is some progress on debugging this problem, at least for our number. i will call customer support on tuesday & relay this info and see if we can get caller ID working (it works for most, but not all incoming phone calls) and then try to get ooma to work w/ a landline installed in the same household so i can set up the ooma scout unit again. I'm a little confused with the configuration that you are using. Maybe if I could better understand your wiring I could offer some suggestions as to what might be causing your problem. I've listed some questions below and I apologize in advance if you have answered some of them above. I scanned your posts but was still unsure. 1. It sounds like you are keeping your landline for data purposes and got a new number from ooma. Have you in some way connected the landline that supplies this number to the ooma (possibly the wall port) and if so, what are you attempting to accomplish with the connection? 2. Do you have DSL and if so, does it run on the same line as your landline or is it on a separate pair of wires? 3. In your last post you mentioned the scout. Are you or have you been using the scout when having problems with ringing - and if so, how was it connected? Is your goal to use it in another part of the house? 4. Have you tried disconnecting everything from the wall port of the hub and then making a connection to the scout's wall port with a short cable? No splitters or house wiring involved? If so, how did it work? 5. How are you using the phone port on the hub? Does it go to just a multiple handset cordless base or do you have it distributed to other phones in some way? If so, please describe. I may have a few more questions based on your answers but I think we can work this through as it seems like it may be more of a configuration problem than an ooma problem. 1) i have cable supplying my internet connection. i used the wall port to add a scout unit in another room. 3) i was using a scout unit in another room to access voicemail from that room. no phone was connected to the scout unit. 4) no, will try that next. i didn't think about that one. as of now i have removed the scout from the system to see if it is related to this problem. scout is unplugged from the wall phone jack & powered down. i just called and no ringtone. i'll leave it like this & reboot the modem, ooma hub, and have the modem request a new IP address (this was one of the suggestions from an earlier customer support call back in may 2009) to see if the system resets. 5) the ooma hub phone port goes to a panasonic cordless phone that has 5 handsets. on the land line, i have 2 corded phones & a cordless phone still attached (as well as an alarm system). landline company is AT&T. area code of ooma & landline is 714. ooma prefix is 733, landline prefix is 995, next door neighbor prefix is 995.